Size does matter. When you're faced with a class of 50, 150, or even 250 college students, it's tough to head off boredom - much less promote higher-order thinking and inquiry skills. But it's not impossible, thanks to the professor-tested techniques in this collection of 14 articles from the Journal of College Science Teaching. The book starts by examining what research shows about the effectiveness of popular teaching styles. (Surprise: Lectures don't stimulate active learning.) 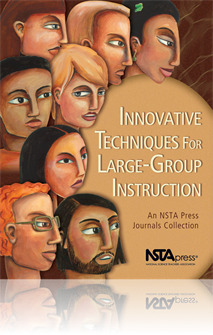 From there, the authors offer proven alternatives that range from small-scale innovations to completely revamped teaching methods. Suggested strategies include using quizzes in place of midterms and finals, student forums, interactive lectures, collaborative groups, group facilitators, and e-mail and computer technology. The contributors write in first person, making the book as readable as it is practical. One of the most thought-provoking chapters is called, "Are We Cultivating Couch Potatoes in Our College Science Lectures?" With this book's help, you can answer that question with a definitive no. Read a sample chapter: How Do College Students Best Learn Science?